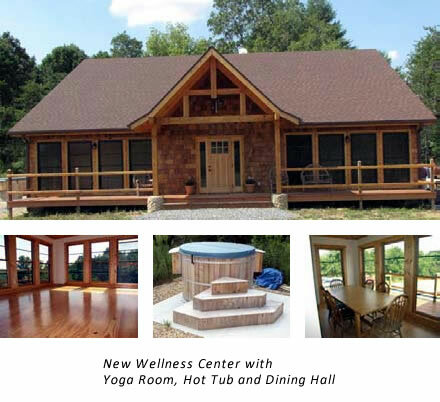 The Prama Institute (PI) has had a successful year so far with the opening of the new Prama Institute Wellness Center and increases in the number of our own programs along with the many repeat rentals. The new wellness center is a 2500 square foot building with eight residential beds, treatment rooms for mud baths, steam baths, massage and a variety of water treatments as well as a meditation room, kitchen and dining areas. 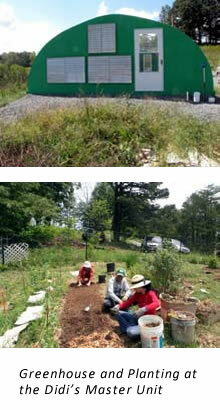 The center sits on five acres affording beautiful mountain views and 2 acres for organic agriculture. The core of the program is nutritional education and graduated fasting modeled after the Ananda Marga Wellness Center run by Dada Dharmavedananda in the Philippines. There is a monthly weekend detox program along with individual and small group sessions scheduled for the convenience of the clients. The staff consists of a director, Ramesh Bjonnes, a staff nurse, Linda MacFarland, an MD consultant and contract workers for cooking, and the array of services mentioned above. The PI programs have grown to include Yoga Detox, Yoga of Silence, and Yummy Yoga. Yummy Yoga is designed to introduce people to vegetarian food and cooking which complements our Wellness Center’s nutritional focus on food as the best medicine. All three of these programs are repeated at least twice a year. Other programs that we sponsor include Yoga and Personal Growth, taught by Vinay Gunther who comes once a year on his world tour and our Ananda Marga Yoga Teacher Training taught by a group of experienced Ananda Marga teachers who now offer their training in Denmark, Portugal, and Iceland as well. This Fall we will offer programs that include an Aroma Therapy Retreat on October 17-21 with David Crow, Yoga Detox: 14 Superfoods for Health & Well Being on October 26-28, Yoga Detox: Your Ayurvedic Constitution & Your Health on November 16-18, Yummy Yoga on November 30-December 2, and Yoga of Silence – The Power of the Present, December 7-9. Upcoming January 23, Jai Uttal Kiirtan. There are two developing Ananda Marga projects on adjoining land that enjoy coordinated cooperation with the PI and the Ananda Girisuta Master Unit. The Didis Women’s Wellbeing and Development Foundation is developing 33 acres adjacent to the PI Wellness Center on Ananda Vithika with fruit trees, gardens, a greenhouse with hydroponic equipment, utility shed, and a small residence. Their long term goal is to develop an herbal medicine program. Next to the Didi’s land is a developing eco-village on 25 acres with lots for homes and a co-housing unit for a multigenerational community initiated by members of Ananda Marga who are interested in supporting the Master Unit, PI programs and Didi’s projects. Construction has begun on a 3500 square foot community residence that will serve as the community house for meditation and collective gatherings. This facility allows those interested in considering living in the community to come and live for 6 to 12 months to determine the suitability of becoming a longer term member of the community. This community house will accommodate 3 families and 4 to 6 single people. The plans for the co-housing unit will accommodate rental or purchase for 8 units. The site has plans for 6 to 8 lots for homes, a pond, an amphitheater, park for children and adults and 2 acres of community garden Parties interested in knowing more about this eco-village development and the projects listed above may contact Sid Vishvamitra Jordan at sid.jordan1@gmail.com or phone 828 712 1225.